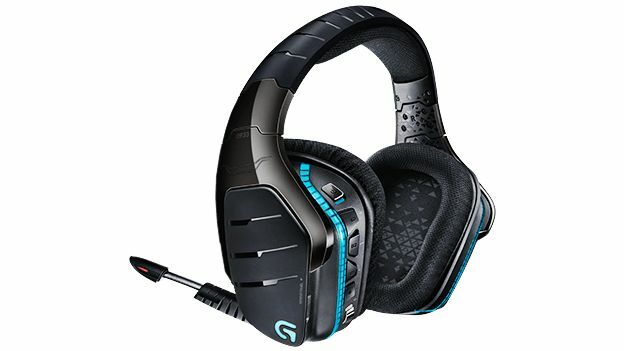 Logitech is bringing the noise inside its new surround sound enabled G933 Artemis Spectrum wireless gaming headset. The G933 supports up to three devices at the same time and thus makes it incredibly easy to switch between your home theatre system, PC, games console, smartphone or any other device. Logitech can support up to three devices at a time through a 2.4GHz wireless rapid-burst USB adapter in the ear port that connects to your phone or analog audio source and there are a further two inputs in addition to this. Sound is where it really comes into its own with not one but two surround sound offerings in the shape of DTSD Headphone:X and Dolby 7.1 that brings an experience for even the most hungry of gamers. Customisation is at the heart of the action with the ability to adjust the RGB lighting around the edge of the headset and various game macros using programmable “G-keys”. Further customisation can be achieved by creating personal sound profiles that can do anything from adding treble, bass and pitch to morphing your voice to confuse other gamers and a lot more besides. It's anticipated that the G933 will be released at some point in October 2015 for $199.99 (£129) and for the penny pinchers among you there's the G633 lower spec wired model that is $149.99 (£96) and arrives a month earlier.